Just binge watched the first 6 episodes ( season 1 ) of Sneaky Pete on a plane, started off a little unsure but when Bryan Cranston appeared things started to hot up and now can’t wait for the next flight to finish season 1 off !! Hopefully season 2 was as good ( anybody ?? ) and season 3 should be starting soon . Is COPS the TV Series still running? They never showed cops getting hit in those shows. Waiting for the next seasons of outlander and better call saul. Thought this one was excellent. All six episodes with subs available TPB. Summary: Follows the intertwining stories of four strangers who are bound together by a violent event. That's director Ritesh Batra's 1st feature (2013). 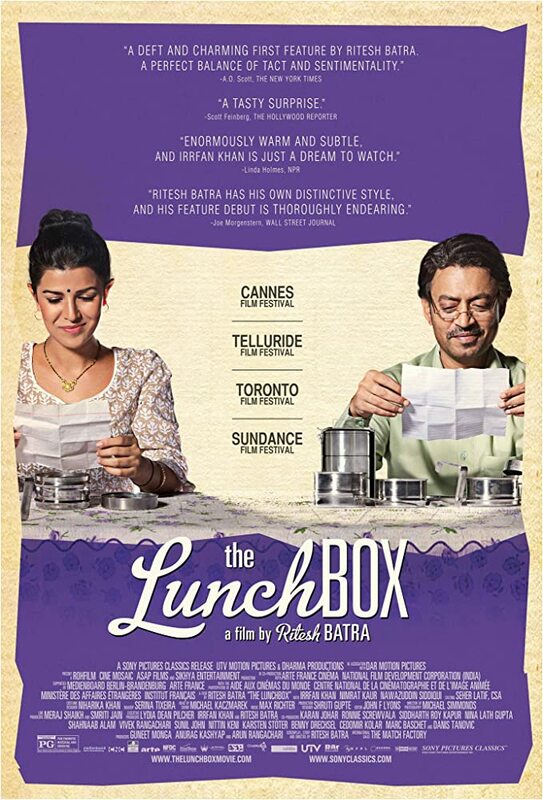 The only thing that bothered me when I first watched it was that I thought there is no way that the lunchbox delivery could really exist. But it does - a fascinating and unique cultural custom. 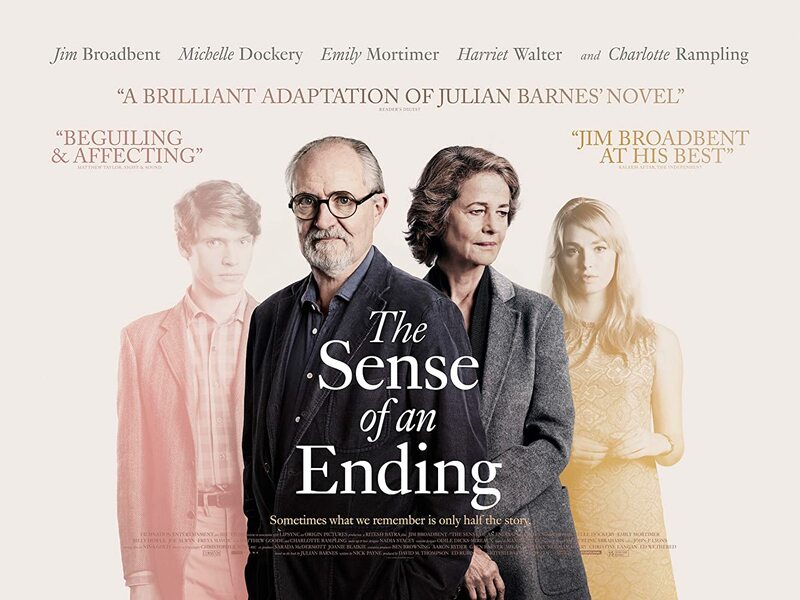 After that I watched his second, "The Sense of an Ending (2017), which I would recommend highly. Great cast - Jim Broadbent. Charlotte Rampling. Harriet Walter - really impressive - she shows how to take a small part and make it special. I love "unraveling the truth" films - when they work, which this one does. 2012 Academy Award - Best Foreign Language Film). Watched the movie "Mary Queen of Scots" last night and thought it was good, more so because it gave another insight to the machinations behind the reigns of both Mary and Elizabeth. I enjoyed the Elizabeth I movies, which contained some historical facts, although not in actual timeline, however this one was different because it sort of went behind the scenes, and if I was to draw a conclusion in just a few lines, I would say certainly that Mary was the victim of greed, betrayal and split loyalties by her nobles and family, whereas Elizabeth, not so much. One thing about living oseas is you do miss some good stuff from your home country , thank god for TVF and IMDB !! Just watched Dead Man’s Shoes (2004), a gritty violent movie about revenge. Just watched Dead Man’s Shoes﻿ (2004), a gritty violent movie about revenge. Will take a look, thanks. His next film which he wrote and directed, "This Is England" (2006), is a masterpiece. Unforgettable. Was just thinking about it within the last few days. Also reminded of it frequently due to USA news, as even though it depicts 1983 England it's very reminiscent of the discontent in the USA and the simplistic scapegoats people turned to which led to Trump. Another great child actor was David Bradley , his performance in this touching/funny/gritty story about a young lad and his trials and tribulations suffered on growing up in late 60’s Barnsley and his friendship with his pet kestrel was legendary. The humour in the school football scene is masterful and brings back memories of 1960’s Yorkshire. ( sub titles might be required for anyone not familiar with a strong Yorkshire accent ). I still remember - with great fondness. - Carry On Camping. Why? Because I was 10 years old, and it showed my first exposure to bare boobies! Roddy McDowall in John Ford's 1941 "How Green Was My Valley".